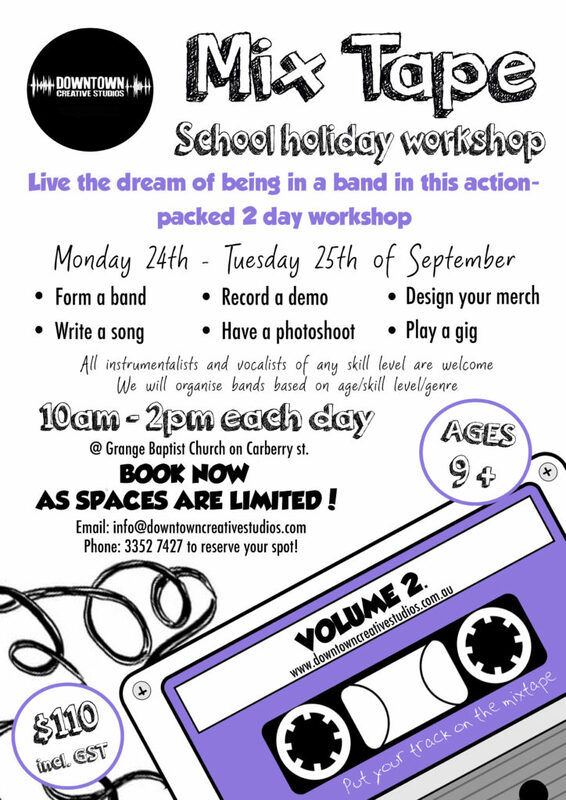 We had such a great time last year with our “Mixtape” workshop so we’ve decided to bring it back with “Volume 2.” This action packed workshop will take place over Monday and Tuesday the 24th and 25th of September (during the school holidays). If you’ve dreamed of being in a band, this workshop is a great opportunity to experience just what it’s like! Not only will we be forming bands, writing songs and performing, we will also be creating our own merchandise, recording demos and having a professional band photoshoot! We are inviting instrumentalists and vocalists (aged 9+) of any skill to participate in this workshop.